From today to Saturday, Milan will host the Milano Arch Week, initiative promoted by Municipality of Milan, Triennale and Politecnico, with the art direction of Stefano Boeri. guided itineraries, exhibitions, meetings, talk with Italian and international guests. 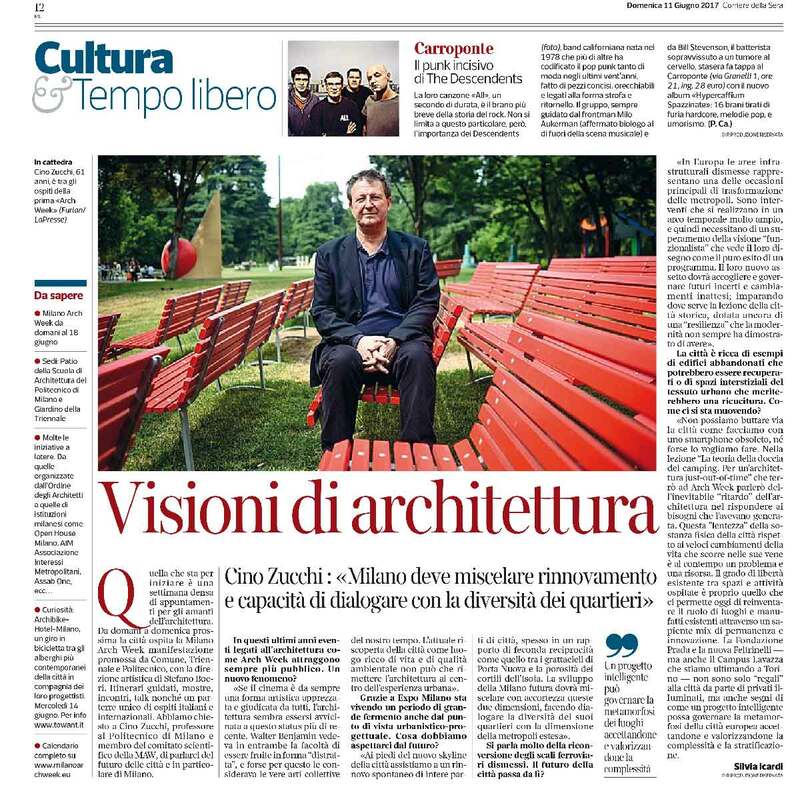 Cino Zucchi, professor at the Politecnico di Milano and a member of the MAW Scientific Committee, expressed come thoughts on the future of the city and in particular Milan at Corriere della Sera.